Washington (AFP) - A US diocese has apologized and vowed to take action after videos emerged showing boys from a Catholic private school mocking an elderly Native American man at a rally in the capital Washington, triggering widespread criticism. In footage captured on multiple phone camera videos that swept social media on Saturday, a student from Covington Catholic High School in Kentucky wearing a Make America Great Again hat is seen smirking as he stands extremely close to Nathan Phillips, a Native American Vietnam war veteran, who beats a traditional drum while chanting. Other teens, many also wearing clothing bearing President Donald Trump's political slogan jeered, jumped and appeared to mock the man. 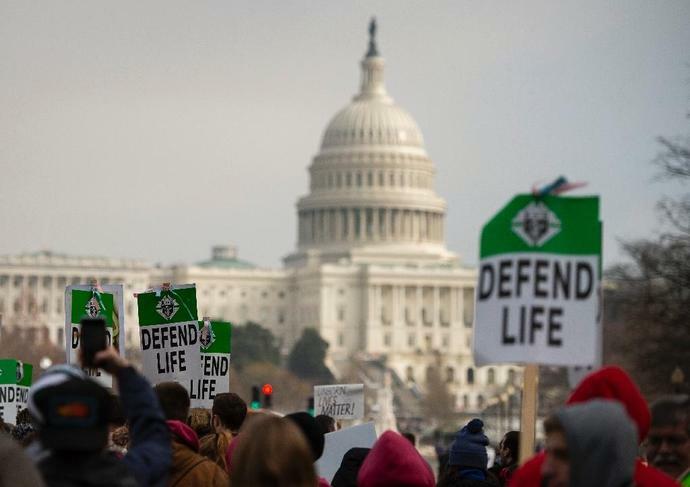 "We condemn the actions of the Covington Catholic High School students towards Nathan Phillips specifically, and Native Americans in general, Jan. 18, after the March for Life, in Washington, D.C," the statement said. "We extend our deepest apologies to Mr. Phillips. This behavior is opposed to the Church's teachings on the dignity and respect of the human person. The matter is being investigated and we will take appropriate action, up to and including expulsion." Kaya Taitano, a witness to the incident, was quoted by CNN as saying Phillips had decided to intervene with a "healing prayer" when the school teens got into a verbal altercation with a group of African American youths who had been preaching about the Bible nearby. An emotional Phillips gave his reaction in a separate video. "I heard them saying, 'Build that wall, build that wall.' We're not supposed to have walls here, we never did. "I wish I could see that energy of that young mass of young men...into making this country really, really, great. Helping those that are hungry." Deb Haaland, one of the first two Native American women elected to Congress in November, linked the students' behavior to rising levels of racial intolerance under the Trump administration. "This Veteran put his life on the line for our country," she wrote on Twitter. "The students' display of blatant hate, disrespect, and intolerance is a signal of how common decency has decayed under this administration. Heartbreaking."